The Tartan Bicycle Company is passionate about bike tours. We know where many of the most scenic and interesting cycle routes are in Edinburgh and around Scotland. 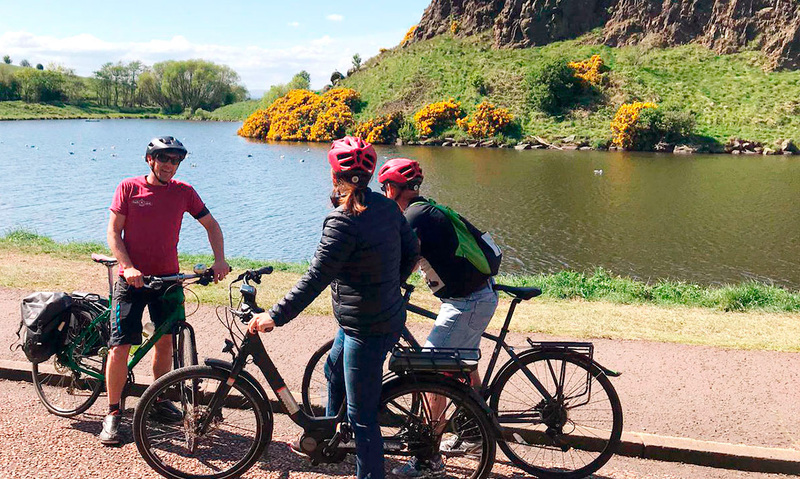 We offer a selection of guided and self-guided day tours within the capital and the Scottish Highlands to suit all levels of cycling ability. Naturally, our guides are friendly and knowledgeable. We are local cyclists who know our way around the area, whilst providing useful information and the occasional amusing anecdote. We strive to deliver a memorable and personal experience on our scheduled group tours or private trips, using our quality e-bikes and hybrid bicycles. A door to door transportation service in our customised bike bus is standard on all of our tours. Ancient trade and passenger transport routes, which once connected Scotland’s industrial and populous hubs, have since left their footprints across the country. Many of these once thriving railways, canals, roads and rivers have been given a new lease of life to become cycle paths. The Tartan Bicycle Company has carefully selected a choice of tours, consisting of safe and interesting cycle routes. Hereby offering a fully supported way for you to experience an enjoyable, healthy, and environmentally friendly way of exploring Edinburgh and surrounding countryside by bike. We also provide ride support and transportation for groups looking to do their own thing. Planning an epic mountain bike ride, a week-long road biking adventure, or a single day charity event? Our customised 8-seater vehicle can be hired with a driver to offer luggage transfers, mechanical assistance and support. Bring your own bike or use one of ours, with our long term and fleet bike hire service with delivery and uplift at very competitive rates. Choose from our selection of guided bike tours with the company of a friendly and knowledgeable guide. All our tours include return transport to your accommodation in our comfortable customised vehicle. 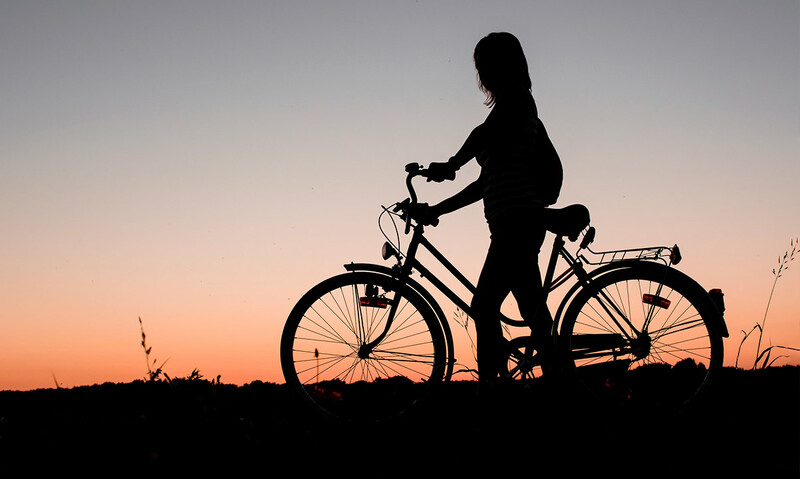 We have a choice of bicycles, including road and hybrid bikes, as well as our ever popular ebikes – electric pedal assist bicycle. Touring Scotland by bike is guaranteed to be a memorable experience, and there is something for everybody. 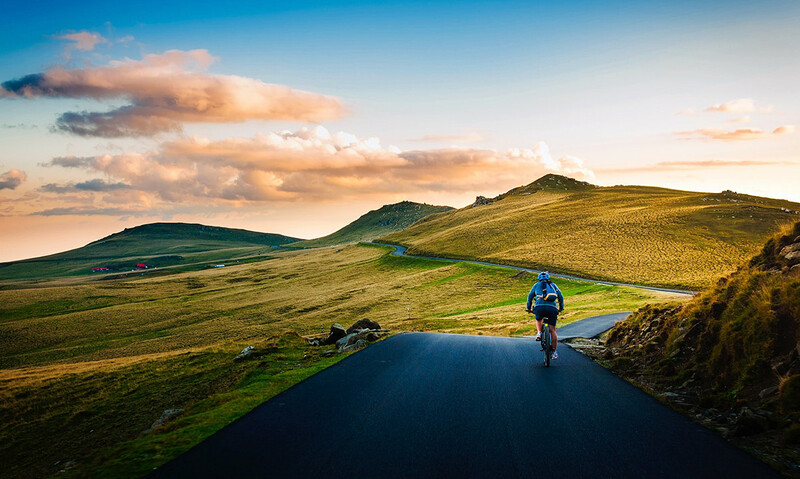 So whether you want to road bike around the lochs and glens of the Scottish Highlands, venturing out for a few days to one of the beautiful islands on the West coast, or mountain biking at some of the best trail centres in the world, we’ll help you create your perfect cycling trip. This was simply the best way to see Edinburgh – and get a bit of exercise at the same time!! Just the right balance of info about the places we saw and keeping moving – we just loved it. Nothing was too much trouble and Johann adjusted our route as we went to make sure we got the most out of our day. Thoroughly recommended!! Johann and Ricardo offer a fantastic service – very knowledgeable, friendly and a historic side of the City you wouldn’t see any other way. I’d recommend doing the tour at the beginning of your stay to familiarise yourself with the city and gain some invaluable tips & recommendations! !